During the initial healing phase of implants there are removable and non-removable temporary prosthetic options. Please keep in mind, every case is different and have different specifications. Prosthetic options will be discussed at your consultation, please call the office to set up a consultation. Potential complications will be discussed at the consultation appointment based on your individual procedure. Medical prescriptions are provided at time of surgical discharge. It is a natural concern to be worried about post-operative complications. Antibiotics and pain medications are usually prescribed with directions to make patient recovery uneventful. Post-operative complications have been known to happen, to decrease the chance of post-operative complications our surgeons will want to see the patient one-week after surgery. Follow-up appointments are important, and patients will be advised on oral hygiene and it will allow the Doctors to manage your post-operative care in the most appropriate manner. With proper care, implants may last a lifetime. Regular follow-ups allow our Doctors to diagnose potential problems right away. We suggest that our patients have routine hygiene appointments with their regular dentist and our office. Implants placed at West Coast OMFS have a warranty, as long as the patient follows the warranty guidelines. Once the implant has achieved osseointegration (implant biologically fused to bone) the patient can proceed with definitive restoration. This typically happens two to three-months post implant surgery. Our surgeons use state of the art technology to assess if your implant has achieved likely osseointegration. When the implant has reached a steady state, we communicate with your restorative/referring dentist advising her/him when to proceed with the definitive restoration. For more information regarding restorative process/phases of your treatment please contact your restorative Dentist’s office to inquire about the steps for final restoration. Although similar, every office has different protocols. If you are a referred patient, please keep in mind that West Coast OMFS Center cannot tell you the restorative treatment costs, as surgical fees are separate from your restorative doctor. There are several specialties in dentistry: Restorative, Orthodontist, Endodontists, Periodontist, Aesthetic, Prosthodontist, and Oral Maxillofacial Surgeon. West Coast OMFS Center focuses on a team concept. 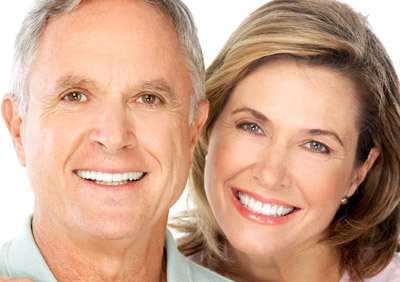 We will work closely with your referring and restorative Doctors to optimize your treatment. All fees will be discussed at the consultation appointment and an estimated fee schedule will be presented to the patient. It is preferred to have a radiograph and or CBCT-scan at the first visit. This will allow our surgeons to properly and more accurately diagnose the current dental/medical condition of the patient. Please take into consideration the personal/financial investment that you are making with West Coast OMFS. We will strive to make treatment options to satisfy patient needs and expectations. If multiple offices are involved with your treatment, West Coast OMFS Center will only quote the patient for our serviceable fees. If your treatment options are not clear, call the office to discuss any questions and or concerns you may have, we will be happy to answer any questions you may have about your proposed treatment.